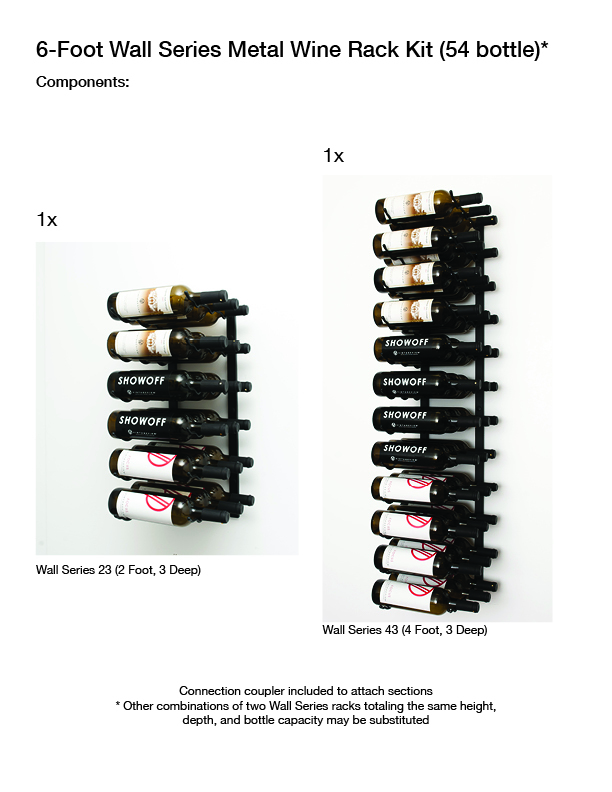 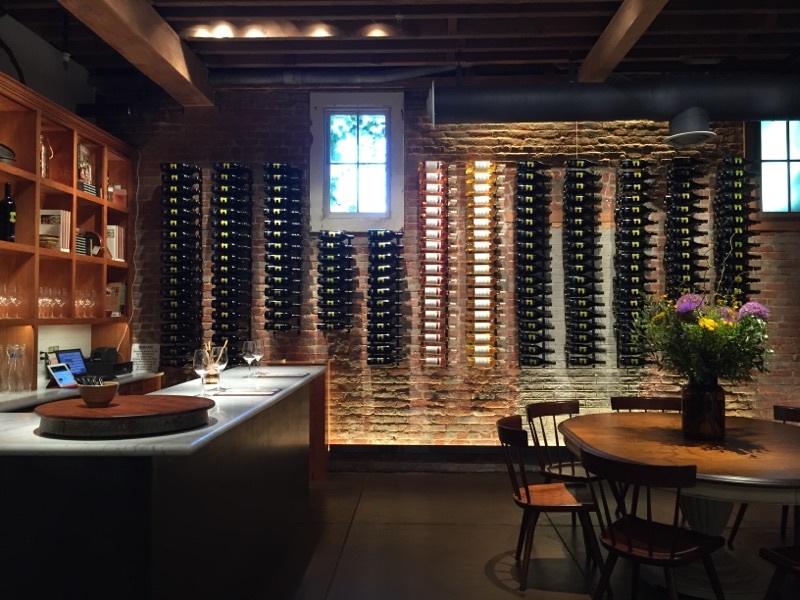 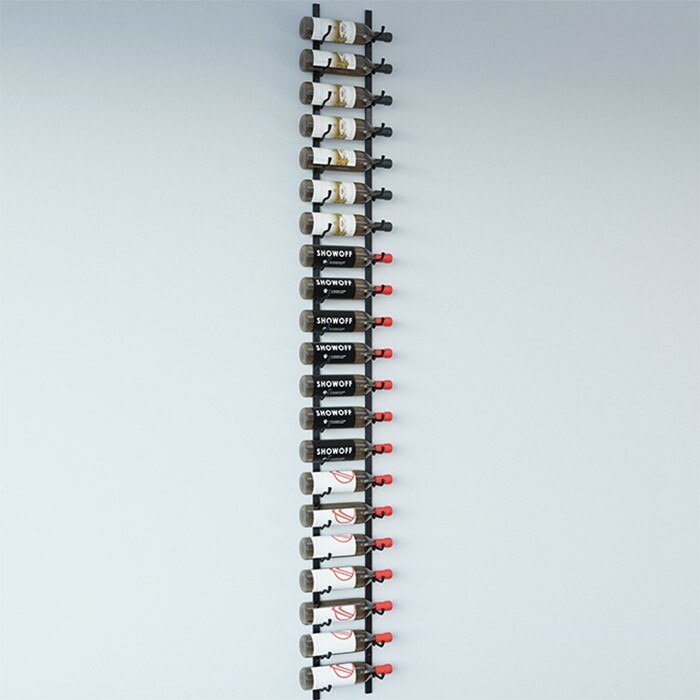 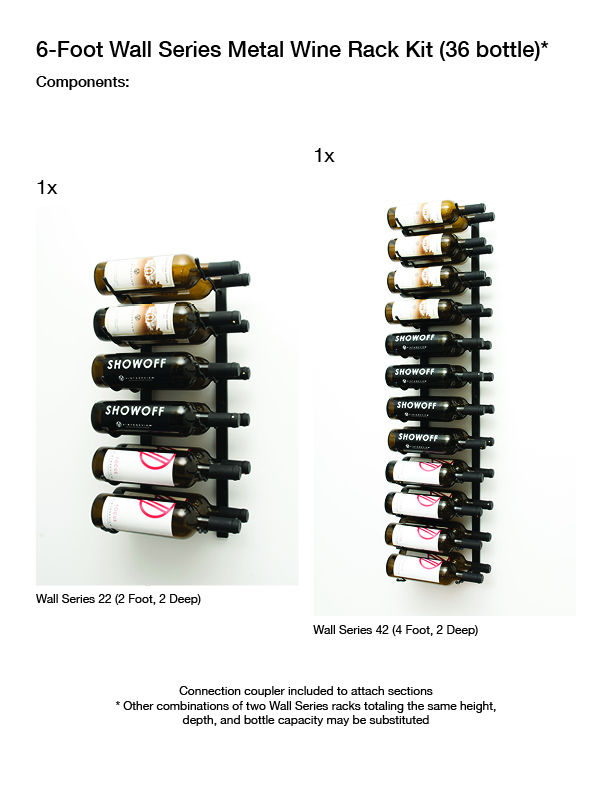 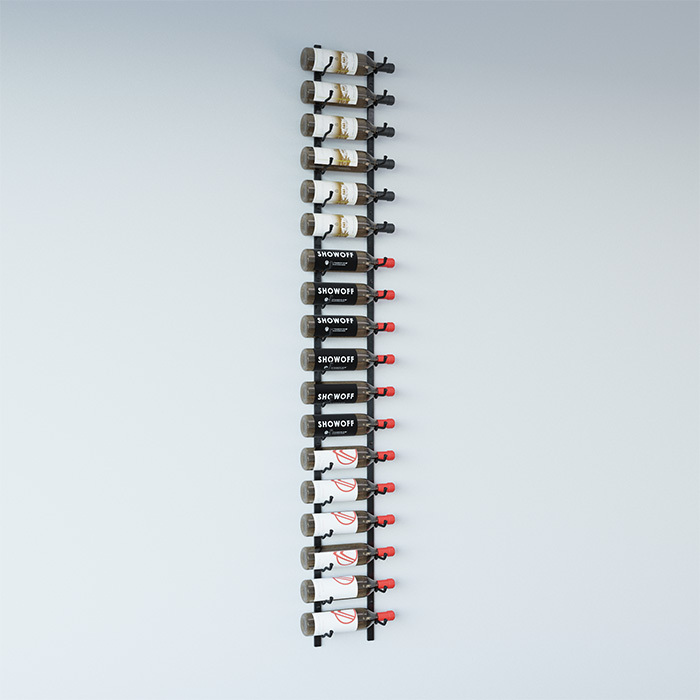 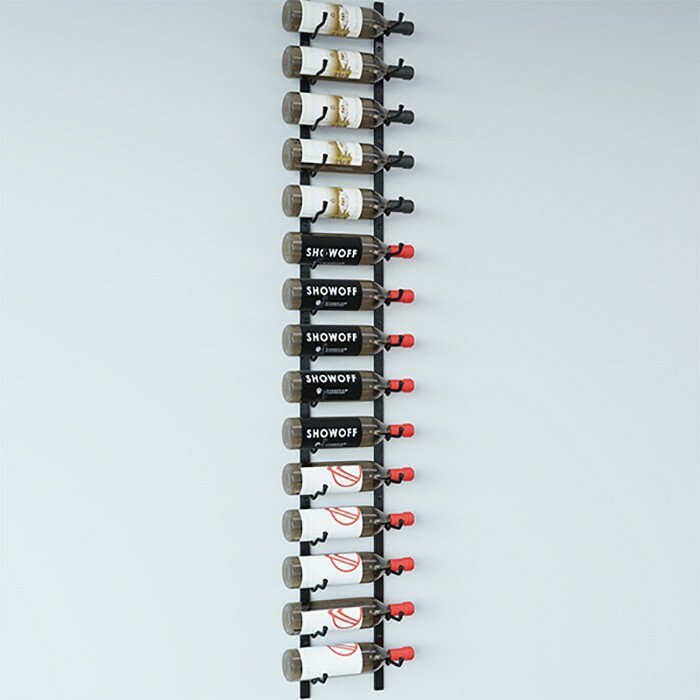 The 6-foot Wall Series kit combines two of our most popular sized metal wine racks to allow for a six-foot tall display in single-, double-, or triple-bottle depth configuration. 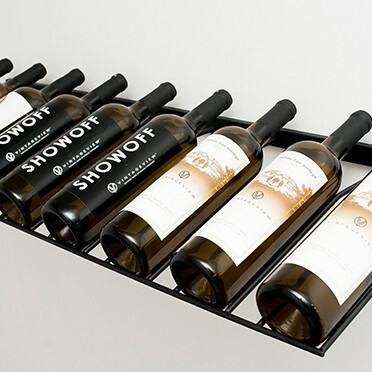 This package includes a combination of two Wall Series wine racks that hat can be connected with supplied couplers for a seamless column that extends to six total feet in height. 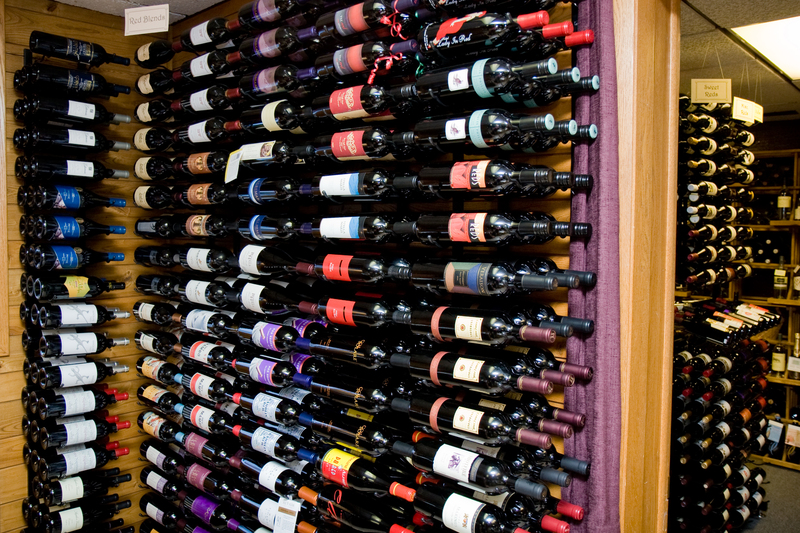 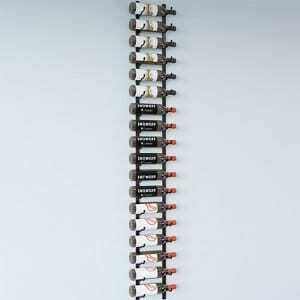 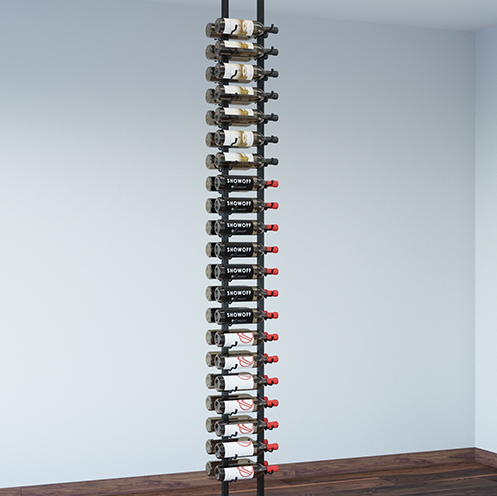 Each column can hold 18, 36, or 54 bottles of your favorite wines.